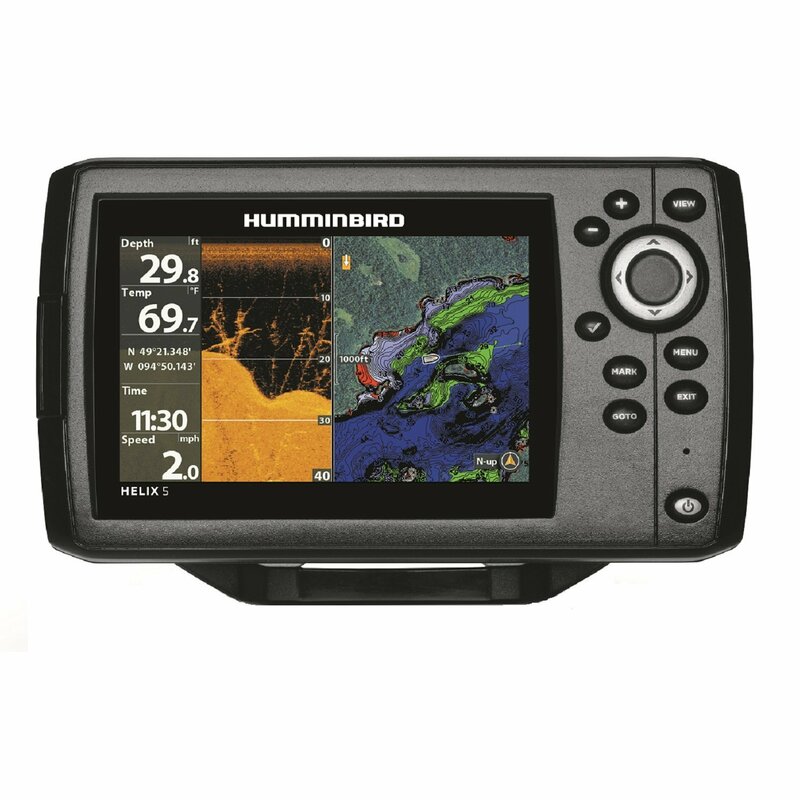 The Raymarine AIS250 is designed to work as a marine AIS system in conjunction with either a C- or E-series Raymarine multifunction display. This unit is neither Class A or Class B, it operates as a receive-only unit. The AIS250 is housed in an 8.6-inch by 6.7-inch by 2.5-inch black box that weighs just under 20 ounces. It is designed to mount vertically on a bulkhead and must be placed in an enclosed area as it has only an IPX2 waterproof rating. This means the unit is protected against falling water drops only. It has no splash or spray protection and on a boat this means the box effectively has no waterproofing. The Raymarine AIS250 with side cover removed. Electrical connections to the AIS250 are all made at the bottom of the unit. It needs to have its own 12-volt DC power supplied as well as be connected to a VHF antenna for signal reception and a NMEA0183 port on the designated display unit. Raymarine has eased installation issues on most boats by supplying a VHF input and VHF output jack on the unit. This allows the user to connect the AIS250 directly to an existing VHF antenna and then connect a VHF radio to the AIS250. This puts the AIS250 between your VHF antenna and radio and according to Raymarine literature could degrade the performance of your VHF radio. In our testing, we did not notice any obvious VHF radio performance degradation. An FM antenna output jack is also provided on the AIS250 for convenience. To test the Raymarine AIS250 for functionality we mounted it temporarily on our powerboat test bed. It was connected to a Raymarine E120 multi-function display and hooked up to our VHF radio antenna. We did not test the FM antenna output. We connected the E-series display unit to the high-speed NMEA jacks on the AIS250. Once the installation was complete the chartplotter needed to be setup properly by turning on the AIS layer. A status icon lets you know its working. Ship data from the vessel Eider as it passed our location. The Raymarine AIS250 data as seen on an E-series MFD. Once we had all the mounting and electrical connections made we went to sea and tried to receive data from commercial ships passing offshore in the Florida Straits. A triangle icon is used as the standard onscreen display for a ship that is not a collision threat. We were able to display several ships simultaneously and according to the owners manual up to 100 ships can be displayed. Information on a particular ship target can be viewed by placing the cursor over the target. This brings up a box listing a variety of information on the target ship. We tried this and were able to display at least some information on all the passing ships. To use the AIS250 for collision avoidance a safety zone is set around the boat using menu selections made with the associated display. The safety zone are can be displayed onscreen and adjusted in size to a variety of distances based on time or mileage. Should a passing ship enter the safety zone aural and visual alarms will alert the helmsman to act to avoid collision. Although the AIS250 installation was easy and data supplied was useful, the unit is held back by its receive-only design and limited waterproofing.